Wellness programs have a long history in the workplace but while they have been around for decades, too many company executives still fail to understand their importance. In many corporations, wellness programs remain an untapped resource, in turn meaning poor worker health, and a corresponding decline in productivity. Wellness programs can remedy this problem because they focus on the wellbeing of employees, which is the most valuable asset in a company. Recent research supports the claim that wellness programs help companies to reduce their health care costs, while also increasing their workers productivity, happiness, and sense of satisfaction. This is also attested by the fact that corporations such as Coca Cola or Google have made wellness programs an integral part of their office culture. CEOs unfamiliar with the benefits of workplace wellness may well be skeptical about its results, and reluctant to invest in a health program for their employees. But those that do will get their investment back and more, because the welfare of a company’s workers has a direct relation on how successful it is. Healthy employees work harder, take fewer sick days, and need less medical attention than unhealthy ones. A well-designed wellness program also helps employees fight obesity more effectively than if they were following a traditional diet/training routine by themselves. This is because people spend the majority of their days at their jobs, which is why integrating physical exercise in a friendly work environment is more effective in the long term than working out a few hours per week by themselves. Implementing a physical fitness program in the office can be as simple as encouraging people to take the stairs, using standing desks, or running Yoga or Pilates sessions before and after work, or even during lunch breaks. Research shows that taking regular breaks to walk or exercise can do a lot for the mental and physical wellbeing of office workers. Mixing Pilates exercises and stretching with office work is a great way to help employees reduce stress and muscle strain, correct bad posture, and make them feel more energised and relaxed during a long day of work. Corporate wellness also translates into an increased productivity in the office. It is well known that productivity is directly related to human factors, which is why companies who have happy, healthy workers tend to fare better than those who neglect the wellbeing of their employees. Even many companies that offer high salaries, but don’t have adequate wellness programs, suffer from lack of productivity because these jobs tend to be stressful, and there’s no physical program set for the workers to relax and regain their energies during a hard day of work. Employees are a company’s most valuable investment. Good employees take a lot of time to train so that they will be able to adapt to the company’s business culture, but once they’re accustomed to their workplace their productivity rises tremendously. That’s why it’s so important for any corporation to keep good employees around, making sure that they are healthy and feel happy with their place in the office. Workplace wellness reduces turnover rates and fosters a sense of community, and loyalty amongst employees. Wellness programs also significantly reduce workers absenteeism. Healthier workers are less prone to take sick leave and more likely to enjoy coming to work, be more interested in doing well their jobs, and advancing their careers. It also fosters friendly relations between coworkers that are the opposite of the stressful, competitive nature found on the traditional workplace. Which is why companies that implement even a low-cost wellness program have healthier office interpersonal relations and their employees show a higher level of loyalty, and commitment to the company than those that don’t implement any wellness programs. But to reap the fruits of this strategy a company needs to integrate it into their corporate structure along with workplace safety, ergonomics, worker benefits, and other human factors. Workplace wellness has to be seamlessly integrated with every level of management, so that the employees don’t feel like they’re being forced to exercise while their work keeps piling over their desks. Companies with wellness programs should have a special department, with its own professional staff and an independent budget, to create and implement strategies that will improve their employees’ health and productivity. Only when companies think of their workers’ wellbeing as being just as important as their sales will they be able to enjoy the full benefits of having their workers giving one hundred percent at their job. 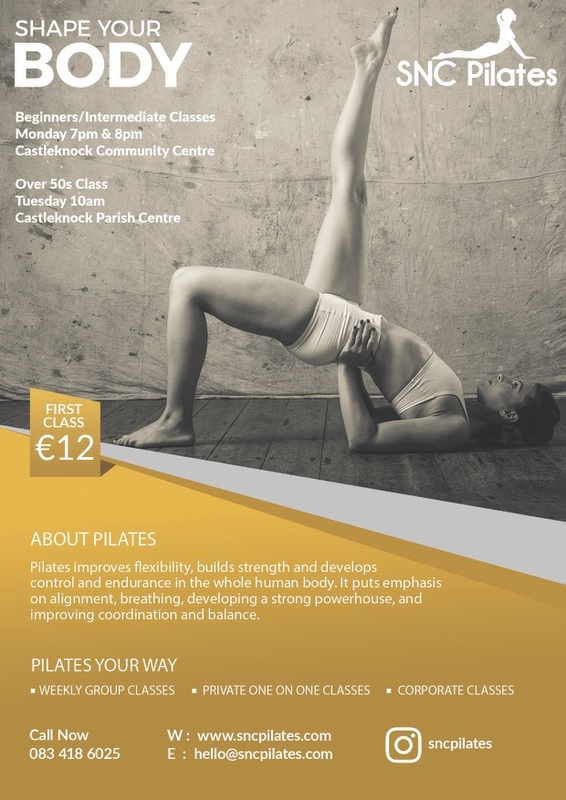 If your company is interested in implementing a Corporate Wellness Program in Dublin, SNC Pilates can help. 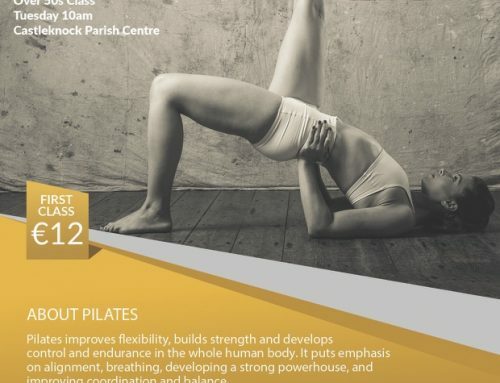 Contact Sinéad on 0834186025 to find out more.